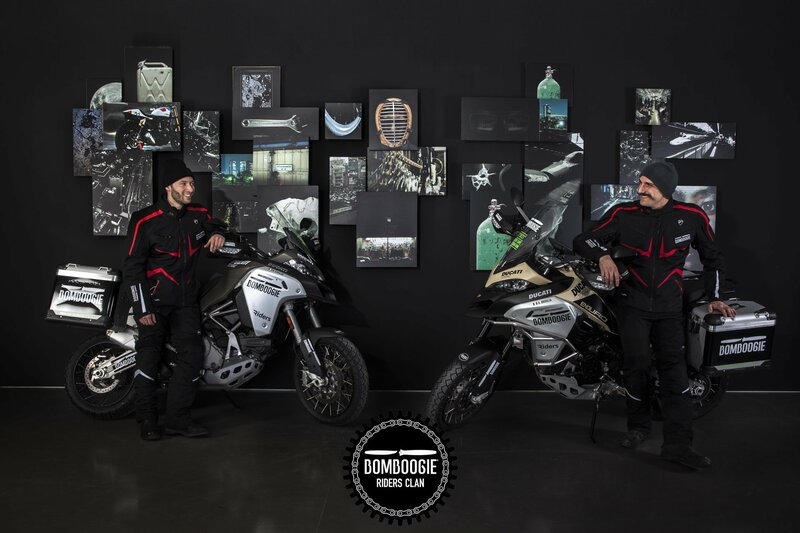 After almost 9000 km, Alessandro and Emilio arrived home. They are happy and incredibly tired. 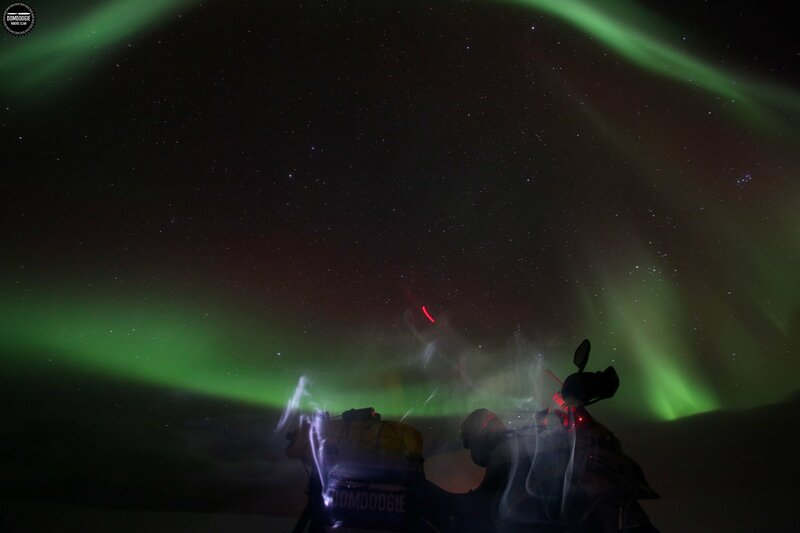 This is the diary of their unforgettable journey to North Cape. Nuremberg, Germany. The final heavy rush. 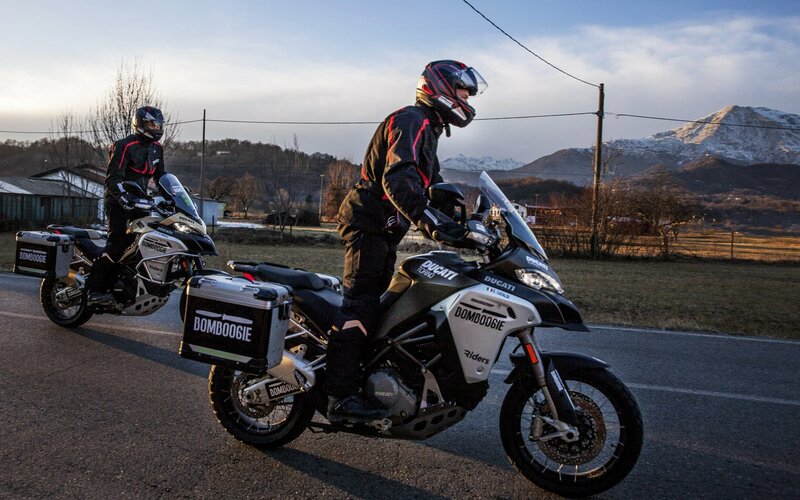 Now Alessandro and Emilio left Nuremberg and they are driving through Germany the last kilometers of they journey. Emilio's bike was adjusted in a little and after a deep sleep, they are ready to go. 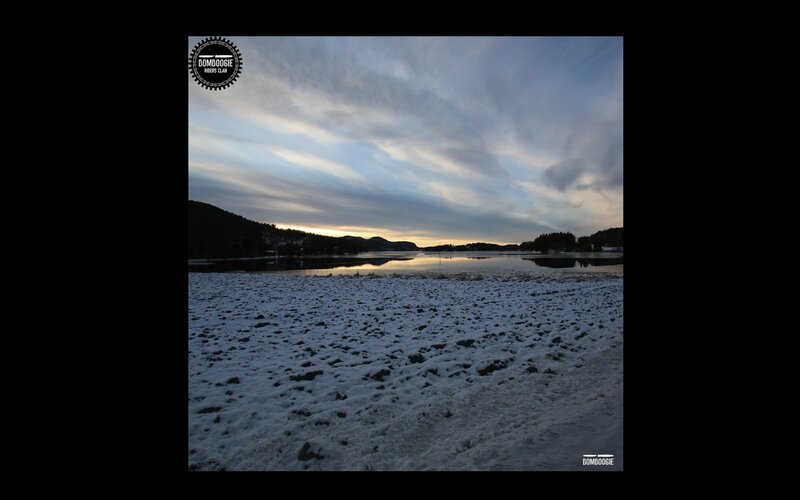 We are waiting for them in Italy and meanwhile, we show you some great pictures taken in Norway and Finland. Łódź, Poland. A long day. 1300 km to home. Yesterday was a terrible day. 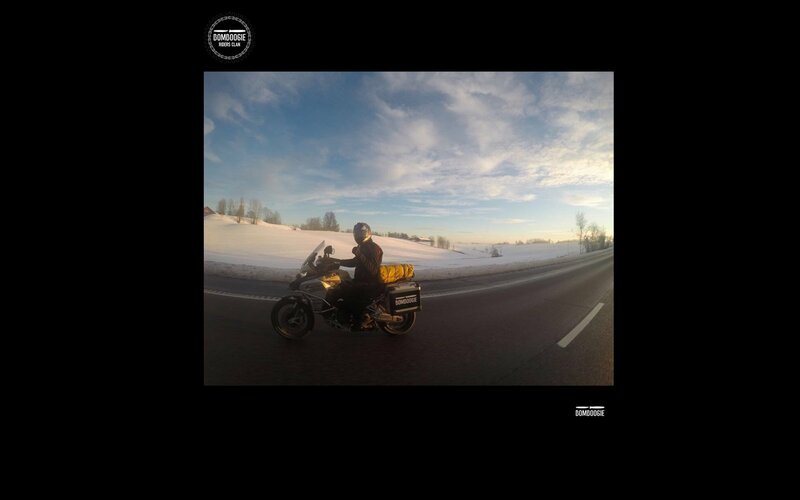 Alessandro and Emilio were driving through Poland after passing through the Baltic States. 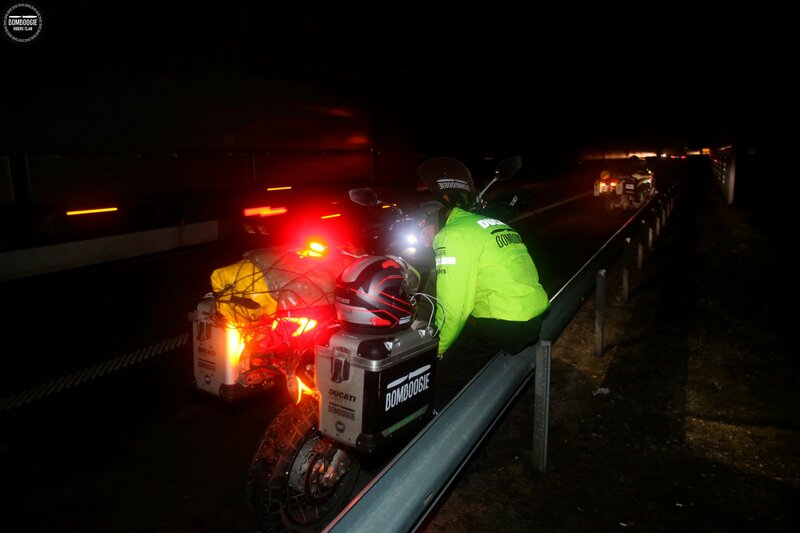 It was around 9 pm, they were moving fast and travel for many miles, they were tired and wanted to come home, when Emilio's rear tyre exploded. He heard a BOOM and suddently risked to loose his bike control. Fortunately, Emilio is an expert driver and kept a cool head. So he was able to pull over and not fall down. We are all relieved! Goodbye Finland! From Helsinki to Riga, nonstop. From Helsinki to Tallin by ferry. Alessandro and Emilio say goodbye to Finland and are ready to discover the Baltic states. Say "Hello" to our heroes! On their way back. Next stop Helsinki. 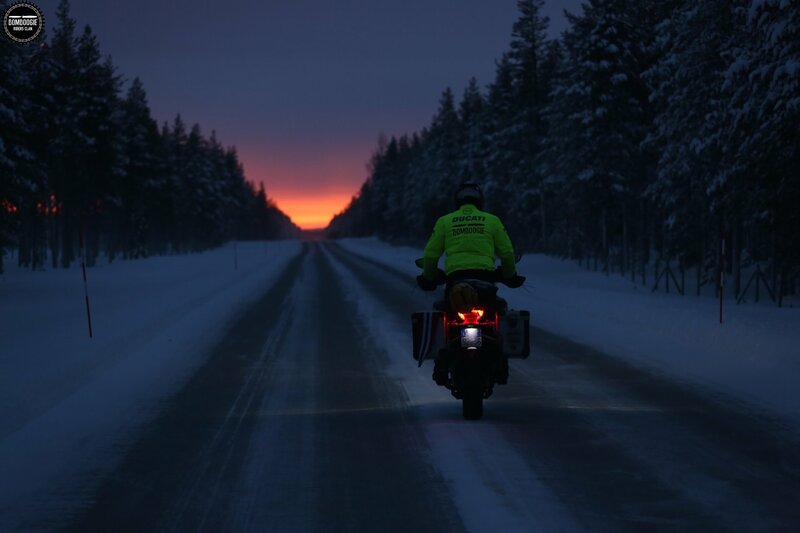 Alessandro and Emilio are coming home through the cold Finland. They are moving very fast. 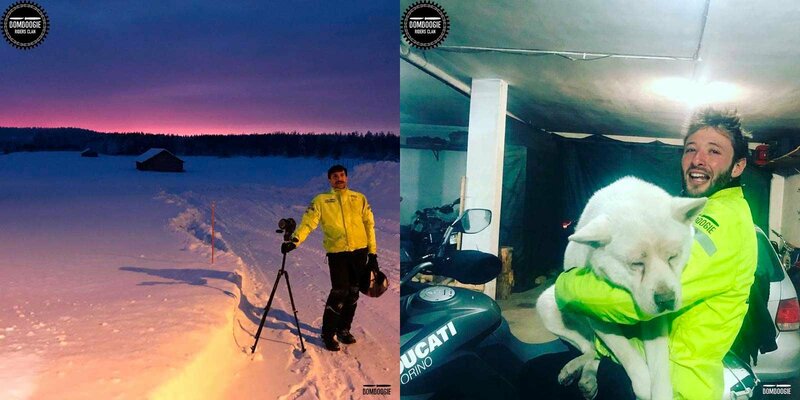 After meeting Santa Klaus, they left Rovaniemi towards Helsinki. They plan to drive for 600 kilometres in order to reach Finland Capital and than board for Tallin. 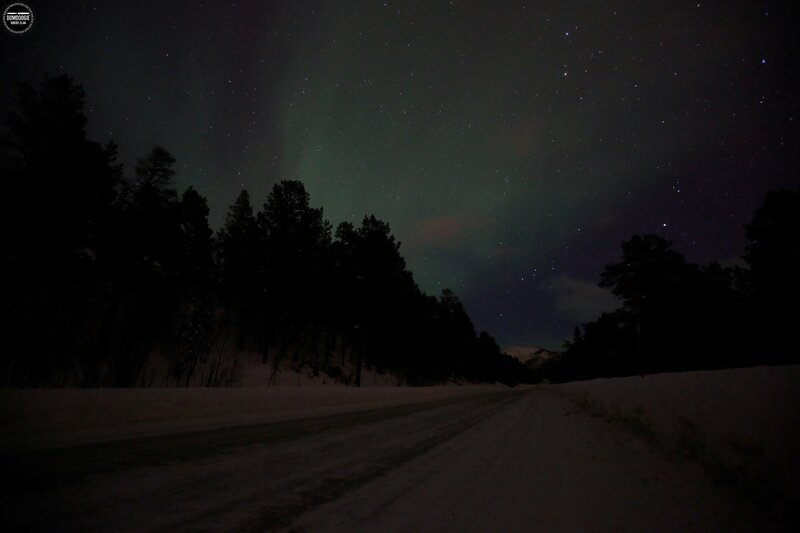 Direction: Rovaniemi, Finland. Santa Klaus, we are coming! 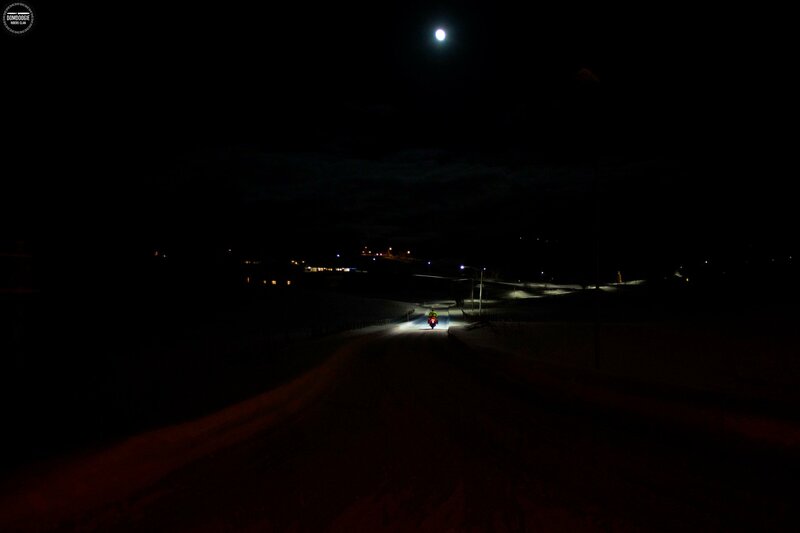 Driving for 700 kilometers, on a long lonely road completely covered by snow and ice. 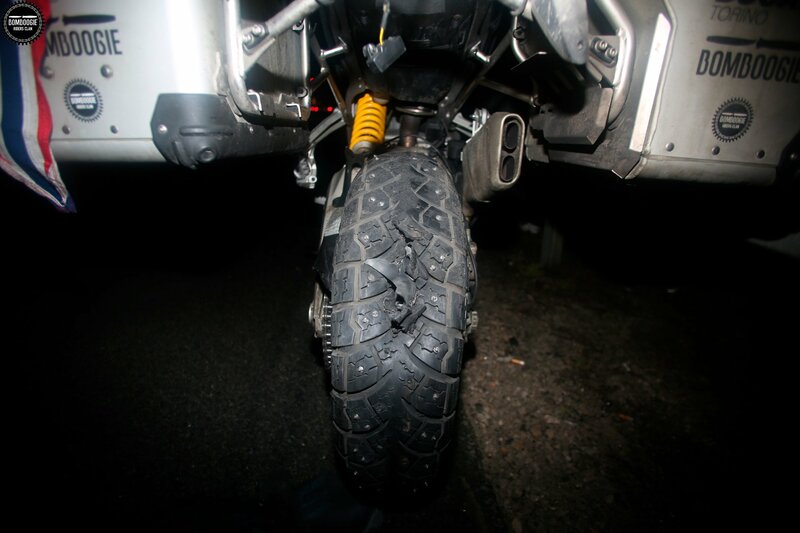 Studded tyres hang on and Alessandro and Emilio keep on driving despite cold and freezing weather. Here they are. 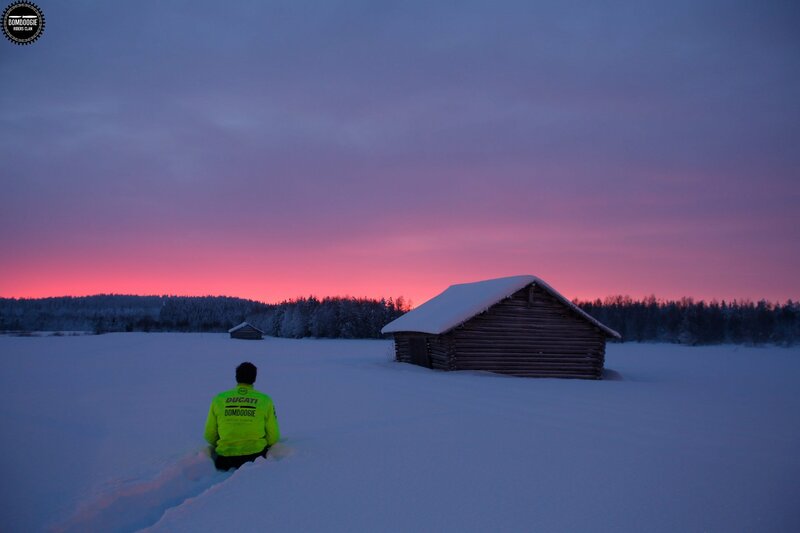 The endless snow-covered Lapland. Welcome in Finland! 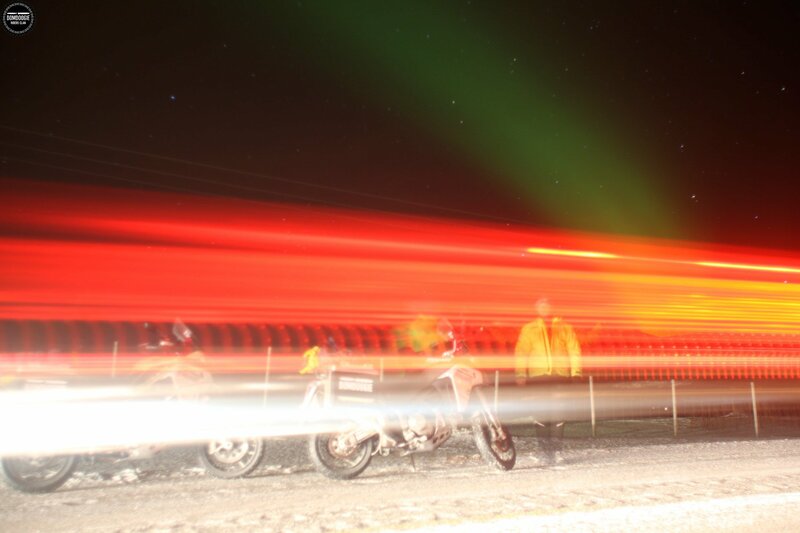 Just passed through North Cape, Alessandro and Emilio moved fast towards Finland. Direction: Santa Klaus! 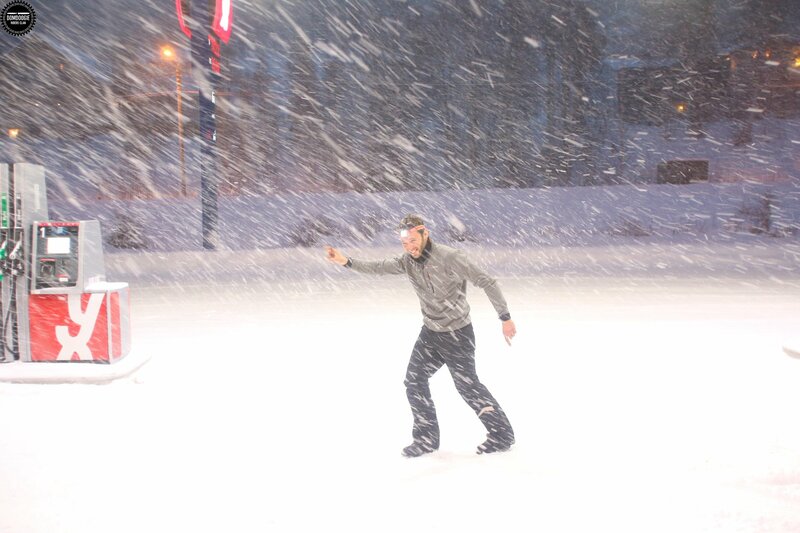 An incredible intense snow storm. They've never seen so much snow, and you? 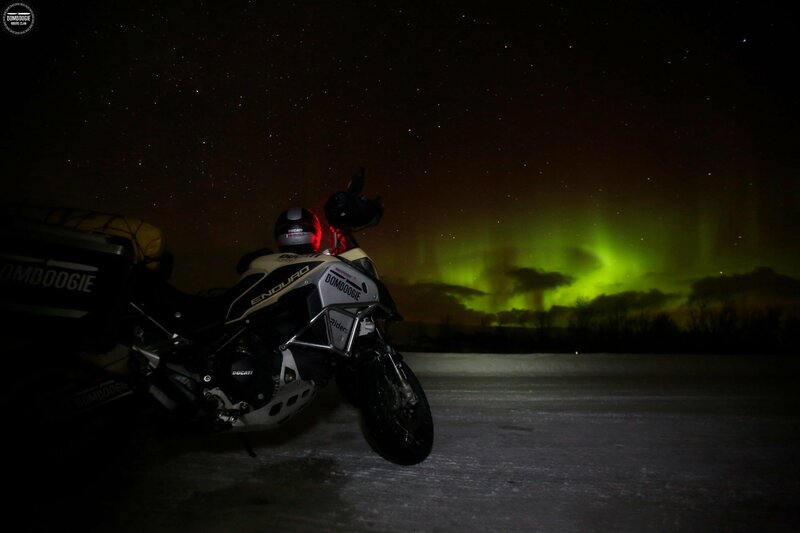 Amazing Green Northen Light left them breathless. These images reward all the efforts and the difficulties. Emilio and Alessando have no words to describe such an overwhelming beauty. Incredible colors and lights above a snow desert. Brave riders portrait. Say cheese! Almost North Cape. Last kilometres. Last kilometres before the final destination are the hardest ones. 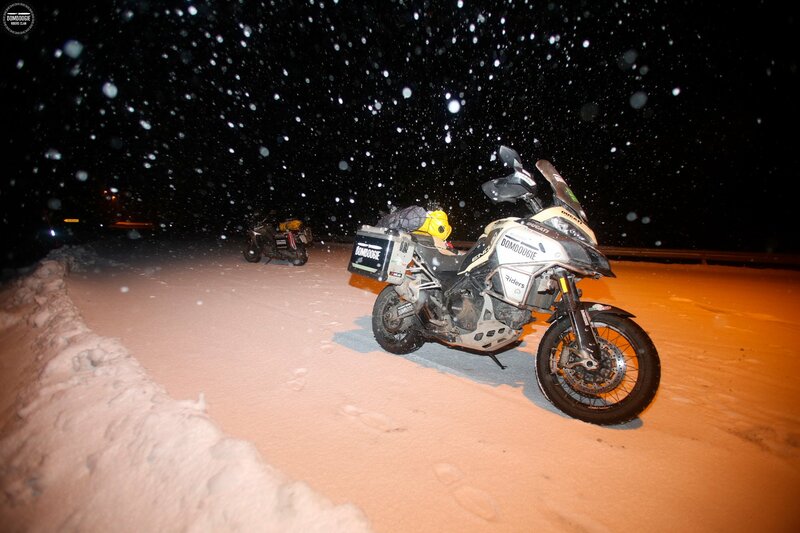 Alessandro and Emilio passed through a snow and freezing storm. 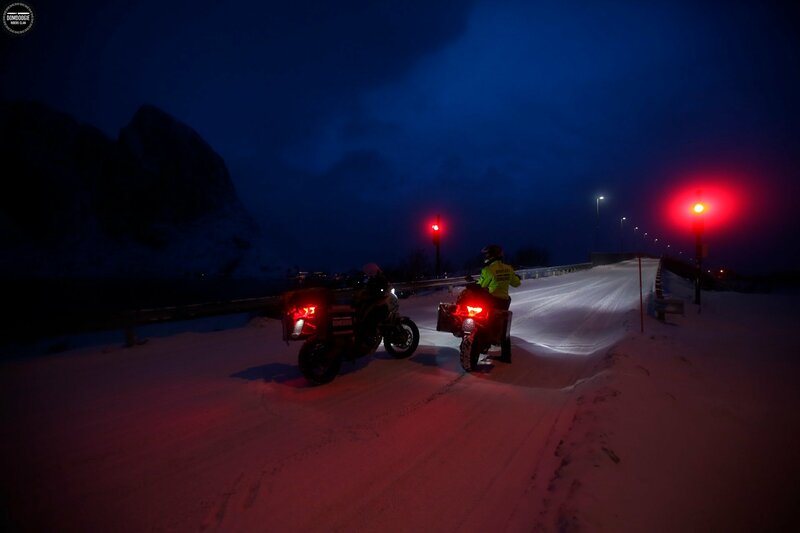 Temperatures arrived at -20° and they had to stop due to extreme weather conditions. At the same time, they blew a tyre. They old their breath for a moment. 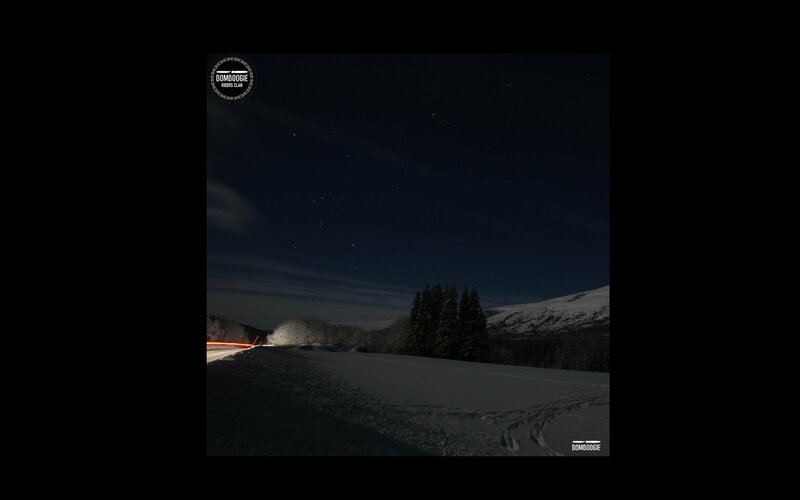 it's not easy to find a mechanic in the middle of Northen Norway desert roads. Luckly Alessandro and Emilio found one and in a little bit the tyre was adjusted. In the middle of nowhere. In a desert land. 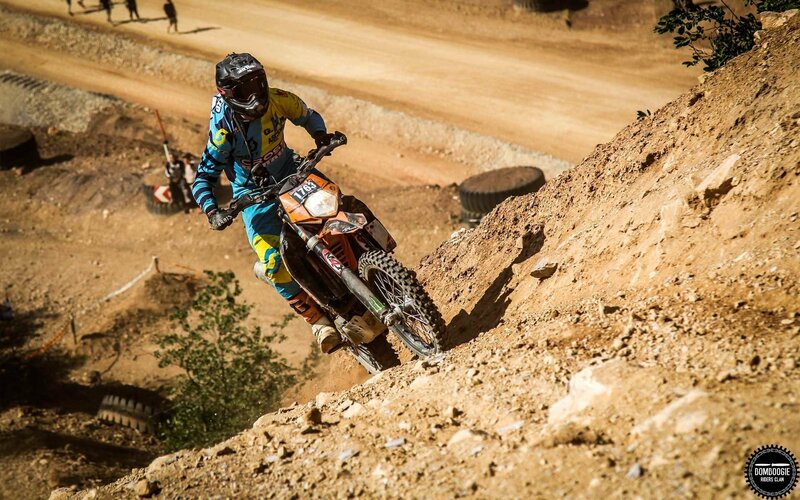 Two motorbikes seem to be unstoppable. Alessandro and Emilio drove for hours having little rest only to eat and sleep. They want to reach the Deep North as soon as possible. In such a big and tough journey, technical preparation is really important. 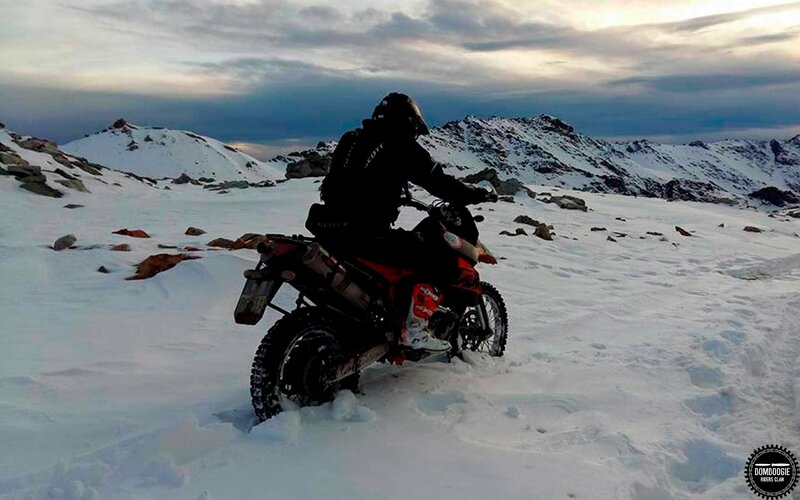 To ride on ice, Alessandro and Emilio studded their motorbikes tyres. Lofoten Islands, finally Green Northern Lights! 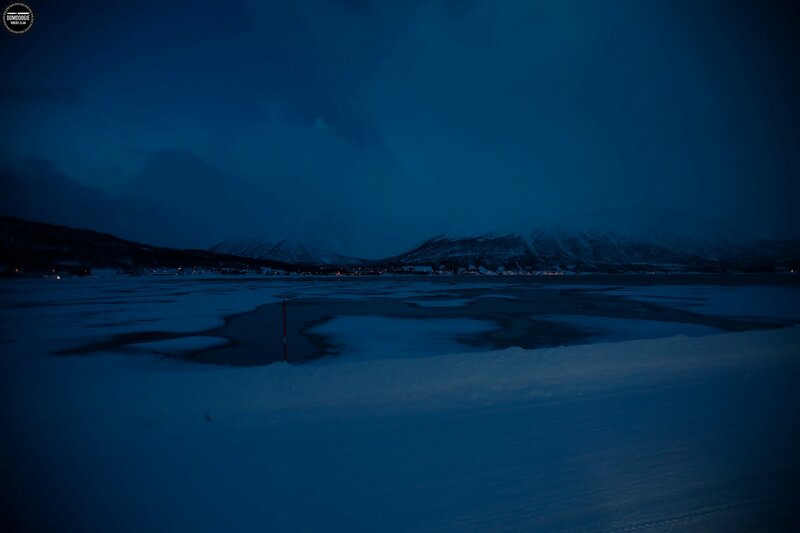 Alessandro and Emilio are almost near to North Cape. Folk Norwegian music from the tent to their helmets. Yesterday was a long day, driving in the middle of a snowstorm was really hard. The atmosphere is intense, it’s dark but everybody is kind and a little bit crazy. They are laughing, always positive full of adrenaline and energy at -21° ❄️ Stay tuned! Ferry to Lofoten. 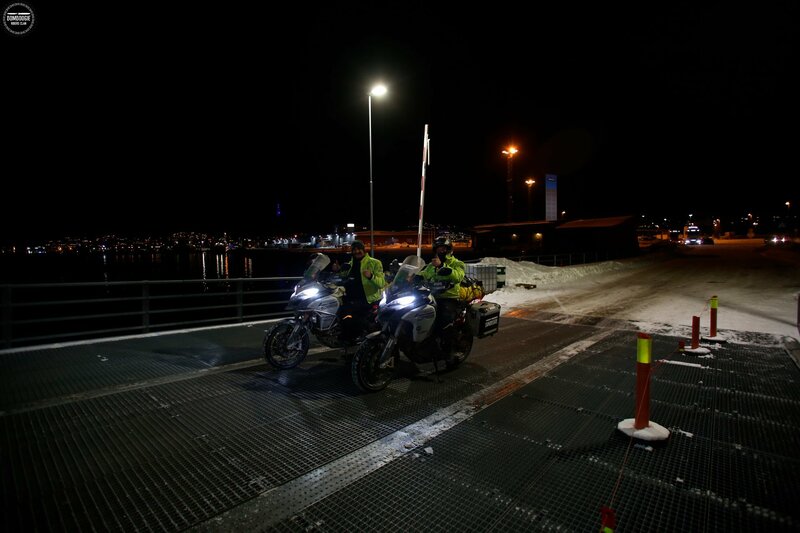 After more than 3000 km, Alessandro and Emilio are finally arrived in Bodø. A brief break, a coffee, and they are ready to board. 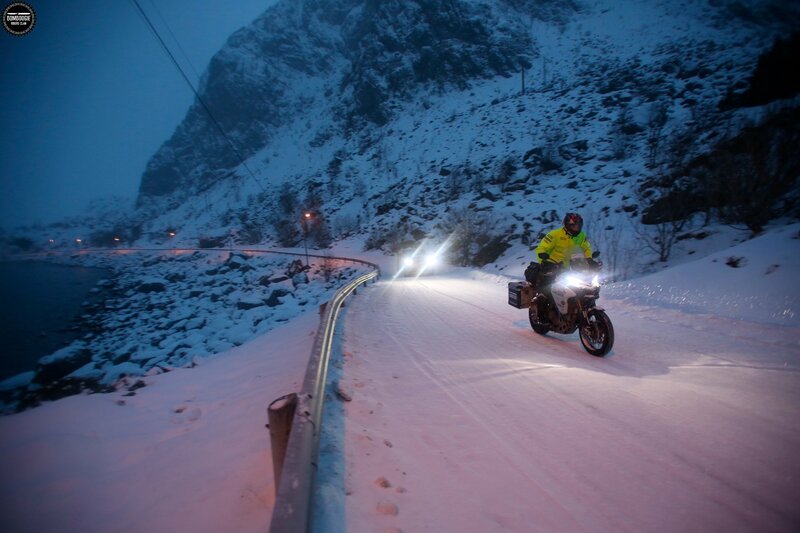 Direction: Lofoten. Frosta and Tverlandsvegen (Mosjøen), Norway. Towards Bodø, Norway. 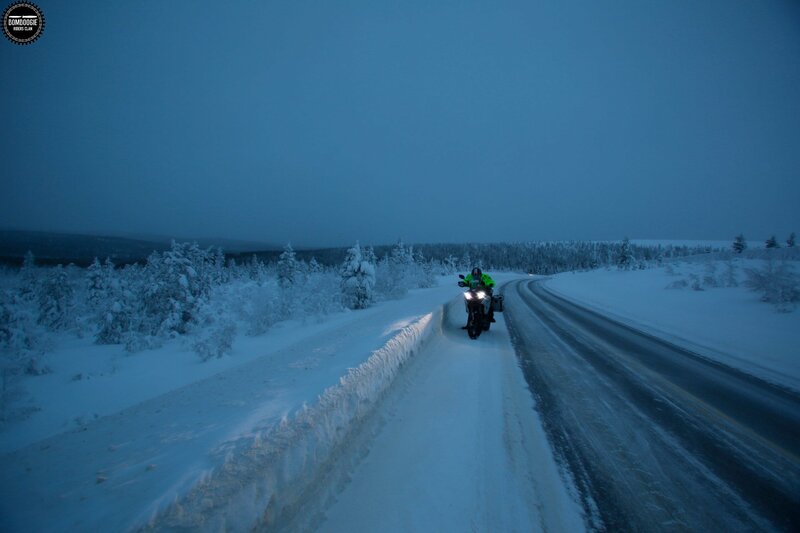 First day of the year like real riders in the Sweden Storm. After passing through Denmark, finally Alessandro and Emilio arrived in Sweden. 2018 has just begun in a brilliant way. Happy New Year! Weather conditions at top: rain and cold. 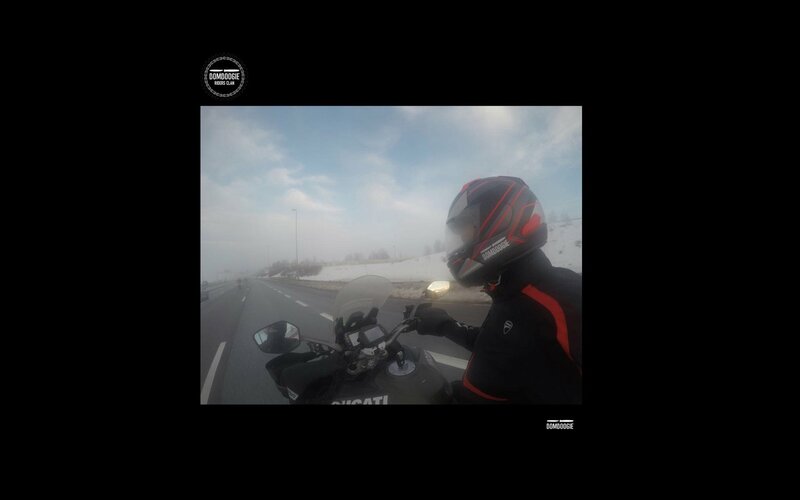 Nothing can stop Alessandro and Emilio through German roads towards Denmark. After a long preparation, finally Alessandro and Emilio are ready. 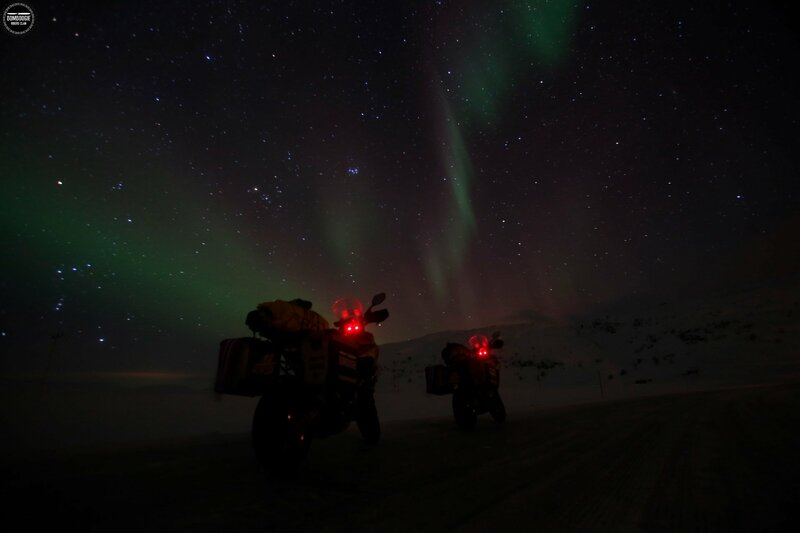 Their motorbikes just arrived, a quick stop at Bomboogie and then straight to North Cape. Stay tuned! The adventure is going to start! It is time to warm the motors up. We have always liked the challenges. Alessandro and Emilio propose us a very hard challenge. A great adventure on two wheels it's goint to start. 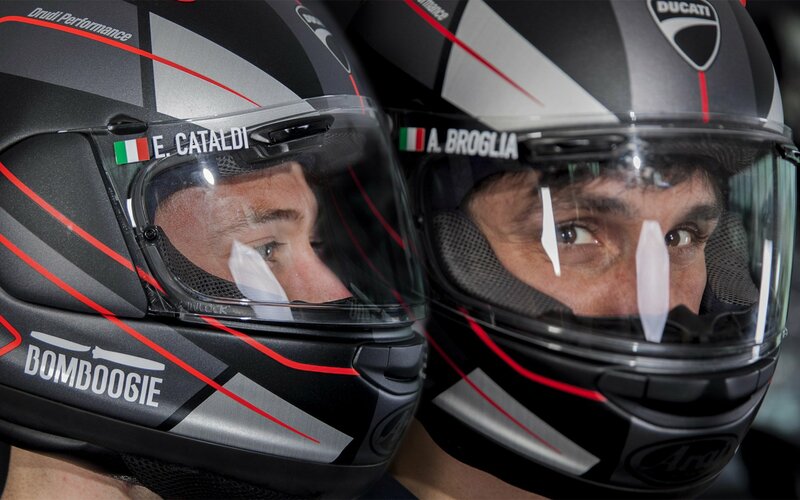 The protagonists will be two young Italian riders: Alessandro Broglia end Emilio Cataldi. Destination North Cape. Departure: 30 December. 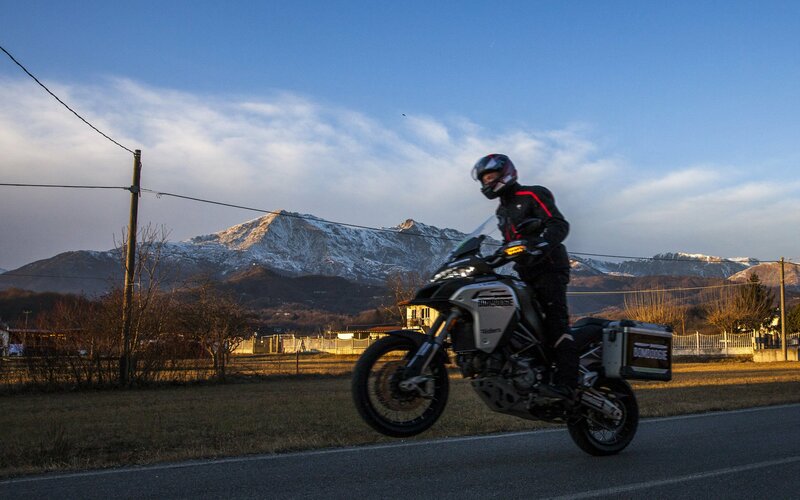 Vehicle: Ducati Multistrada Enduro 1200. 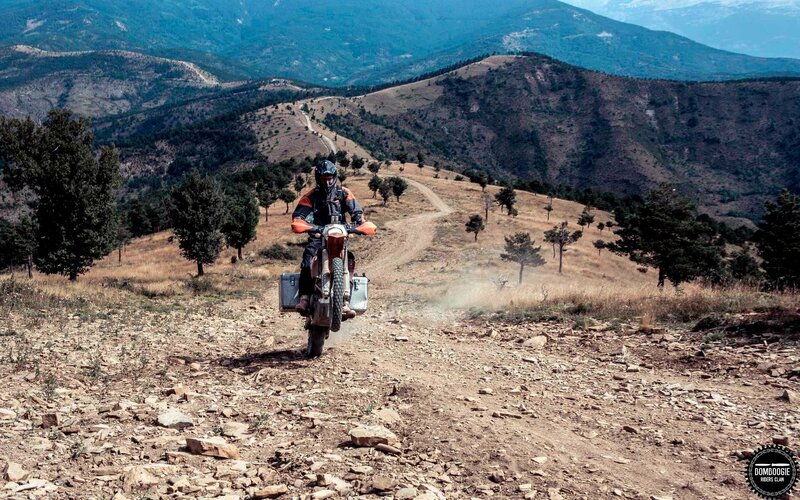 A journey destined to become part of the history of the motorcycling. Follow Alessandro and Emilio on Bomboogie social network. Enter in #bbridersclan to enjoy discount and promotions. BB Riders clan is a online and real community. 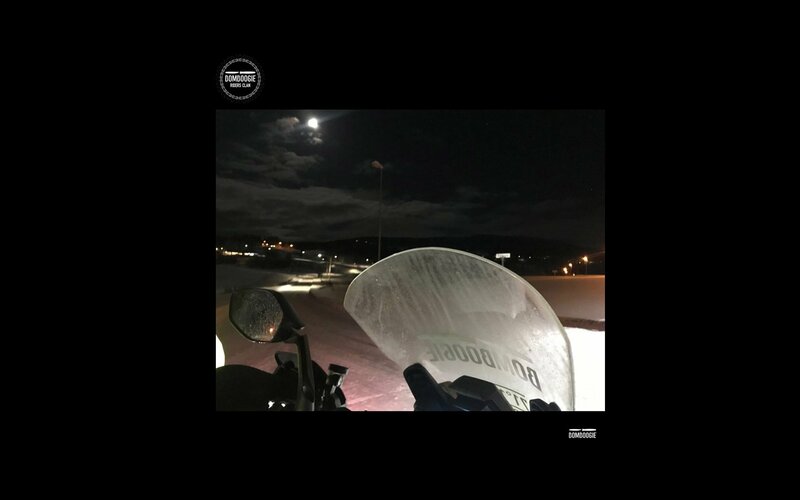 Bomboogie clan is for all motorcycle lovers.